Sun Yuan-liang (Sun Yuanliang) commanded Kuomintang 72 Army when war broke out in the Pacific. He later commanded 29 Army during Ichi-go. Sun commanded a brigade in the Shanghai Incident of 1932. He later commanded 88 Division, and when his men were ordered back to Shanghai by train following the Oyama Incident in August 1937, he ignored instructions to disembark at Chenju (Zhenru; 121.407E 31.251N) and continued to Chapei Station (Zhabei; 121.450E 31.252N) instead. He personally led the "Lone Battalion" in Chapei in October 1937, covering the Kuomintang retreat for four days. His troops then slipped away with semi-covert help from nearby British troops from the International Settlement. 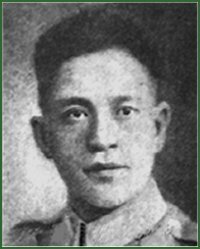 Ironically, Sun had attended the Tokyo Military Academy in 1927 before being expelled by the Japanese for his political activities. He was a graduate of Whampoa Military Academy and the Staff College and was a protege of Chiang Kai-shek, one of the "thirteen guardians of the heir apparent" (quoted by Harmsen 2014). He visited the United States and Europe in 1939 to study military science and technology. Sun lost a major battle of the Chinese Civil War in 1948 in Kiangsu province, his force suffering casualties of over 500,000 men. He joined the Kuomintang in Taiwan (Formosa) but retired shortly thereafter.